Steadicams have been used by cinematographers for years. They can make your shots looks silky smooth. Many manufactures have developed all kinds of steadicams for various cameras and builds. Tiffen has recently delivered one specifically aimed at the GoPro user known as the Stedicam Curve. 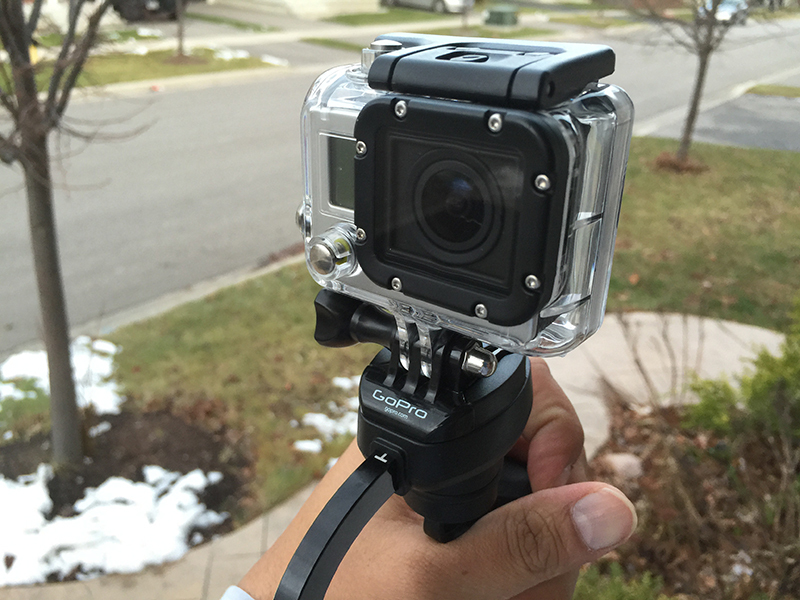 The Curve is a small steadicam designed to be as portable as the GoPro’s themselves. The Curve is a gimbal based and designed to reduce vibration, and handshake. It’s small compact design means it can go just about anywhere. 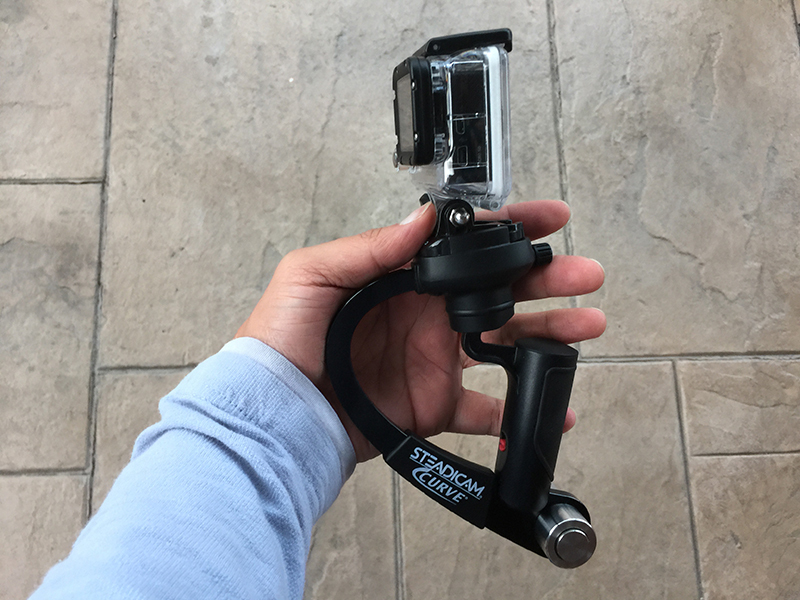 The Curve is fully compatible with the Hero 3, and the current Hero 4. However, it is worth to note the LCD backpack is required for proper balance. Setting up the Steadicam Curve is accomplished by simply snapping in the camera mount. Then comes the more difficult task of getting it all levelled. The Curve must be balanced correctly in order to achieve more fluid shots. If you have large hands you may find the handgrip is a little small. It can be tricky to balance the Curve without having hit your hand constantly. But with a little finesse you will soon be off to the races. One of the Curve’s drawback’s is the required use of the Hero 3 LCD Backpack in order to achieve good balance. This means if you have a bunch of older Hero 3 ’s you are using but don’t have the LCD backpack , you must purchase it. This in turn drives up your cost. It can be argued you need it for use with a steadicam to frame your shot. However, I have used other steadicams that allowed you to composite for various configurations, but at this price point you can really complain too much. Using the Curve in the field game me results that were much better than using a GoPro handheld. The Curve requires a bit practice to get it just right. During the test footage it was quiet windy and I found myself struggling with the wind. However, with some patients I was able to get some shots for you to check out.